﻿ Oceanic Villa Pulau Mauritius. JIMAT di Agoda.com! Ada soalan mengenai Oceanic Villa? Menawarkan penginapan yang berkualiti tinggi di daerah hiburan keluarga, pantai, beli-belah di Pulau Mauritius, Oceanic Villa merupakan pilihan popular untuk kedua-dua tujuan perniagaan dan percutian. Hanya 01 KM dari pusat bandar, lokasi strategik hotel memastikan tetamu boleh ke mana-mana sahaja dengan cepat dan mudah ke tempat-tempat tarikan. 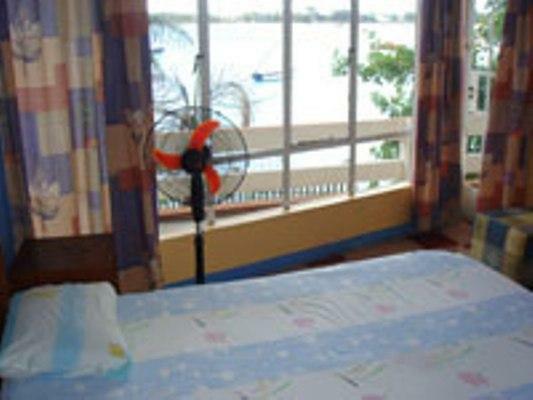 Hotel moden ini berada di sekitar kawasan tarikan bandar yang popular seperti The Big Bazar of Grand Baie, MauriTours, Sportfisher. Ambil kesempatan daripada pelbagai perkhidmatan dan kemudahan yang tiada tandingan di hotel Pulau Mauritius ini. Wi-Fi percuma semua bilik, simpanan bagasi, Wi-Fi di tempat awam, tempat letak kereta, khidmat bilik merupakan beberapa kemudahan yang membezakan Oceanic Villa daripada hotel-hotel lain di bandar. Hotel-hotel telah direka demi keselesaan dan memudahkan tetamu. Sebahagian bilik menyediakan televisyen skrin rata, penyaman udara, panggilan kejut, bar mini, beranda/teres. Sepanjang hari anda boleh menikmati suasana yang santai dengan sauna, kolam renang terbuka, meluncur ski, menyelam, memancing. 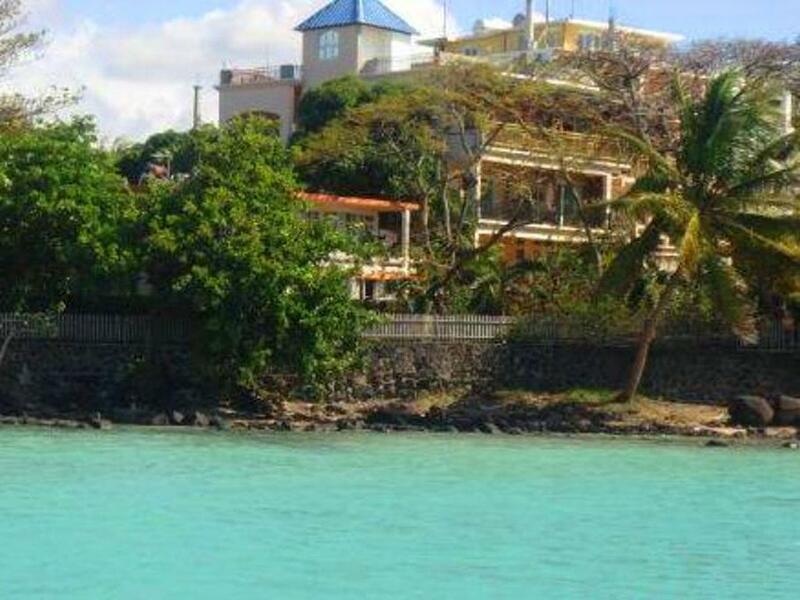 Apabila anda mencari penginapan yang selesa dan mudah di Pulau Mauritius, ijadikan Oceanic Villa sebagai rumah anda seperti berada di rumah sebenar. The restaurant is clean , neat and tidy. Found that the staff is friendly and accommodating. 6 stars for the waiter by the name of Jamman. His greeting was polite and friendly. Breakfast was excellent and on time. Thank you for hosting us. Mr & Mrs Naidoo South Africa. Breakfast not bad. Nearby to the beach. No wifi. The owner is very friendly and accommodating. The hotel offers good value for money, but difficult to find and reception area seemed non existent. Breakfast is basic and hot water can be an issue at times. Wifi was not available in the room we were allocated but was accessed at the restaurant. The staff is very kind, and the breakfast is good. We booked for four nights but only stayed for 2 nights, it was the last four nights of our long stay in Mauritius and the room did not have the view it showed on the internet due to a very large Flame tree (which was beautiful) but we really wanted a sea view, also it was raining so definitely wanted a view. For a two star hotel it was fine. We had a room on third floor. Staff terrible. No hot water. It is a good place,facing to grand baie,but not easy to find it. Many people do not know where it is, and the hotel contact number on the hotel voucher is wrong.In all it is a good place! Wow - did I learn my lesson here!!!!! There is always a reason why an establishment is cheaper than the rest!! When I arrived the owner took me up to my room personally - the "penthouse" !!! The only problem was that to get there we climbed 4 flights of stairs and then crossed the roof through a minefield of junk and down another flight of stairs to get to the room. The room was spacious and probably has the best view in the building (if you turn a blind eye to all of the junk on the verandah) but the rest was horrific!! The room was dirty and frequented by the nightly cockroaches , The microwave had green things growing in it. The "towels" on the bathroom floor were dirty. The nice curved glass shower looked out of place until you closed the shower door and realized that half of the shower glass was missing. The bathroom windows were filthy, so was the bathroom sink. The owner/manager did try to please but unfortunately the building is very badly in need of a good clean and some very serious maintenance (missing light bulbs, rusted air-conditioners, loose toilet seats, etc,). The barking dogs didn't help the situation either. The staff watch as the owners dog yaps at your heels while you get into your car - not exactly welcoming!! Breakfast at the restaurant across the road is OK - the staff are very pleasant and cheerful. My stay at oceanic villa was not good. When i first arrived i find the reception of the hotel but it was empty. After a while i find out that the restaurant on the other side of the street belonged to the hotel. When i came to the restaurant they did all check in there. The room was very big but it felt dirty. everything in the room was old and tv was almost placed at the roof so you could not watch it if you sat down or lie down in bed. The room was filled with ants... The swimming pool is not located in the hotel its 1minute walking from the hotel in an alley. very dirty and small. Hotel is located 15-20min walking from city center. our stay was an enjoyable one, we had no problems, it was value for money although i felt it was a bit far off from the main grand baaie beach area, but on the whole we had a lovely holiday and will definetly visit there again. It is nightmare on the first day. When i came to the hotel room, it is very dirty. The kitchen and bathroom are many ants. The comforter was not clean. We didn't use at this night. I couldn't sleep on that night, it is too noise. The next day morning(7:00 AM), the woman is open my room and then close it. Becasue the hotel is near the road, the vehicle is always pass by this road. I think this room is not like in the hotel building I complain the boss or manager, they changer another room for us( this room is in another building) The other room is better than the first one. But it is not so clean. Also the window locker and the kitchen pan is broken. They don't have any reception and difficult to find staff. I use cell phone to call boss or staff. They are good on car rental, tour operator and restaurant. But the hotel is not good!!!! Me and my mother stayed at the villa for a few days and we both thoroughly enjoyed our stay! 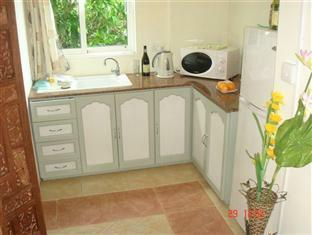 It is a great location, literally next to the beach and walking distance to restaurants and shops. The room was clean, balcony had a lovely view of Grand Baie beach and shower facilities were fine. Best part for us were the staff who were always happy to help with any queries. They also have a tandoori restaurant just opposite which is nice but we personally preferred The Happy Raja restaurant which is only 10 minutes away. Excellent value for money without doubt.